A blistering report released Wednesday by the bipartisan U.S. Commission on Civil Rights found that Justice Department efforts to protect minority voters' rights have significantly declined following the Supreme Court’s 2013 decision to invalidate a key provision of the landmark Voting Rights Act. The backdrop: The 5-4 ruling in Shelby v. Holder prevents the DOJ from blocking voting laws in jurisdictions with a history of racial discrimination. The report shows that this has paved the way for a deluge of restrictive laws that have made minorities more vulnerable to voter suppression. 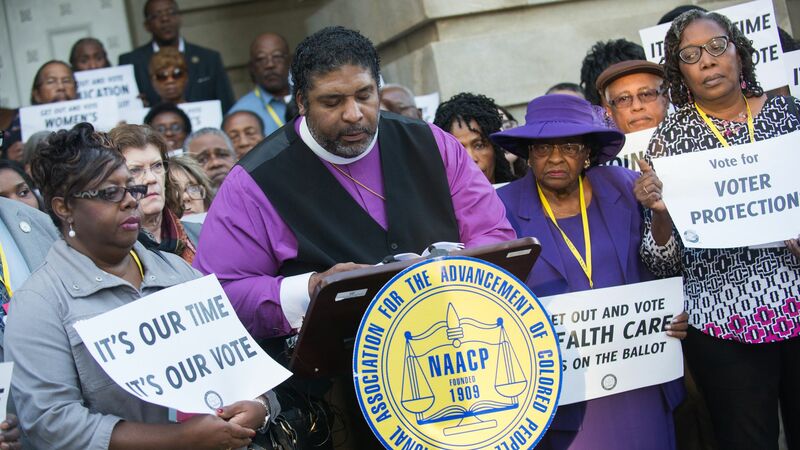 The bottom line: While the DOJ has challenged discriminatory voting laws in states such as Texas and North Carolina, the agency has done little to reverse laws violating the VRA's remaining provisions, the commission wrote in the report. For example, 61 lawsuits challenging discriminatory election practices were filed after 2013. Only four of those were filed by the Obama Justice Department and none have been brought under President Trump. The others were filed by private groups. The 498-page report includes a series of recommendations to Congress, including "a streamlined remedy to review certain changes with known risks of discrimination before they take effect—not after potentially tainted elections." When the Supreme Court nullified the key VRA provision, saying that racism was no longer prevalent, it had urged Congress to come up with a new formula to determine which states need federal oversight. But there hasn't been much progress from lawmakers amid a partisan deadline. The DOJ did not immediately respond to a request from Axios for comment.